Administrators have the ability to set default jumper numbers for teams as well as clubs. Also administrators can now view and change these defaults via the relevant member lists. 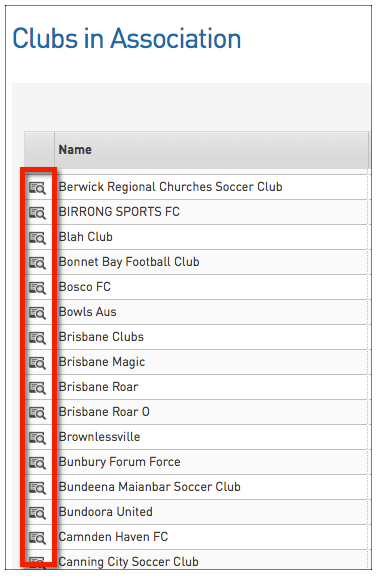 Only the association can enable these fields within the member list but clubs and teams are able to change this from their levels once enabled. You will then need to go and configure these numbers to be able to be edited. 2. From the Configuration Menu click Field Configuration. 3. Under the Members tab, scroll to the bottom to find the team # and club #. 4. Change this from the default to editable for my level and for levels below. 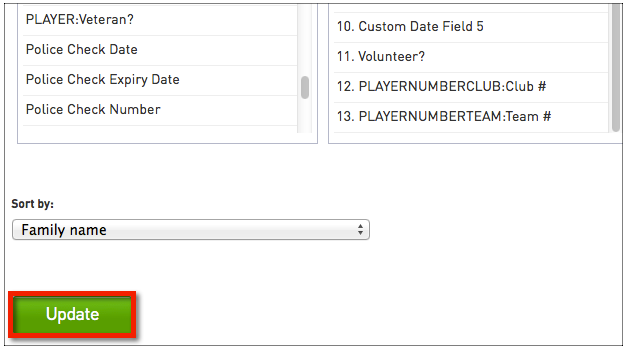 Once these fields have been added and configured associations, clubs and teams can go and assign members their numbers. Please be aware that club number can only be changed from club level and team numbers can only be changed from team level, so you will need to drill down to that level or log in via that level to change these numbers. Please note: if you are a club or team administrator and cannot see these options on the members listing, please speak to your association to get this enabled. 12. The Member will now have the number automatically assigned to them when entered into games. 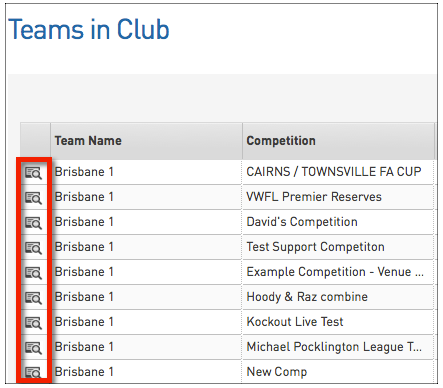 An alternative way to add these club and team numbers, if the association does not want to enable these fields or need numbers assigned for any upcoming game, you can actually add and edit these numbers via the Match Results section. You can either assign both a club and player number or just a team number. 1. Log into your online database and go to Match Results. 2. Go to Pre-game and click on your team. 3. Click on the Tools menu and select the edit team default player number. 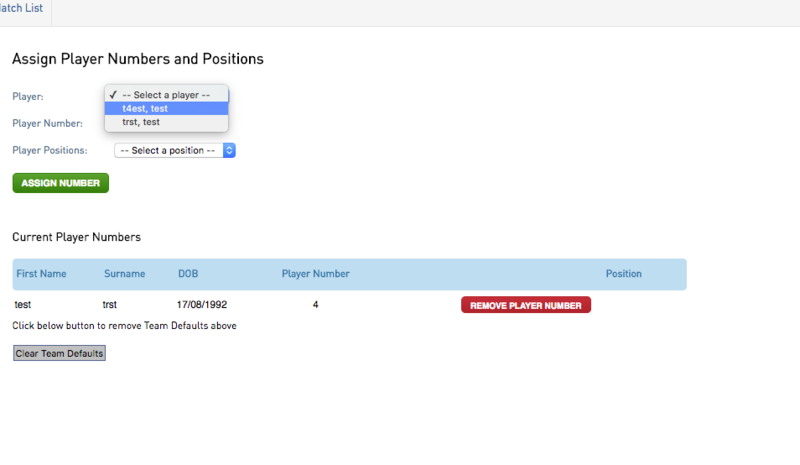 Note: players do not need to be in the selected players list yet- all club members should appear in the drop down menu in Step 4. 5. Go back into pre-game and assign members to the selected players list and save. 6. Those numbers will now appear on the team sheets for players. 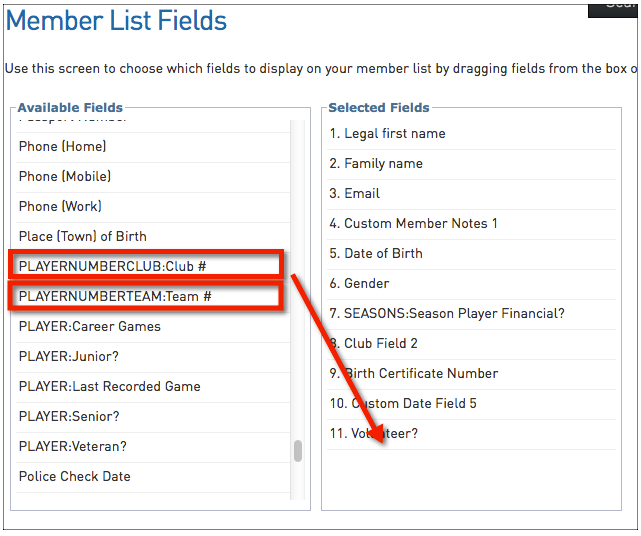 If you want to input a club number AND and team number, the team number will override the club number within the pre-game section within match results and the team sheet, so if the player has the same number throughout the season across all the teams they play in, it is recommended that you either assign exactly the same numbers to both of the fields or just fill out one of the fields. If you only input either a team number or a club number (the other field is left blank) that will be the number that appears in the team sheet. If you have players that play for more than one team within the season, but the player number they are assigned is different to their original team number, you will manually need to adjust this within the pre-game section- you won't be able to change the default number just for that particular team.